Promote your brand and cross sell your products and services with custom-designed ATM screen graphics. 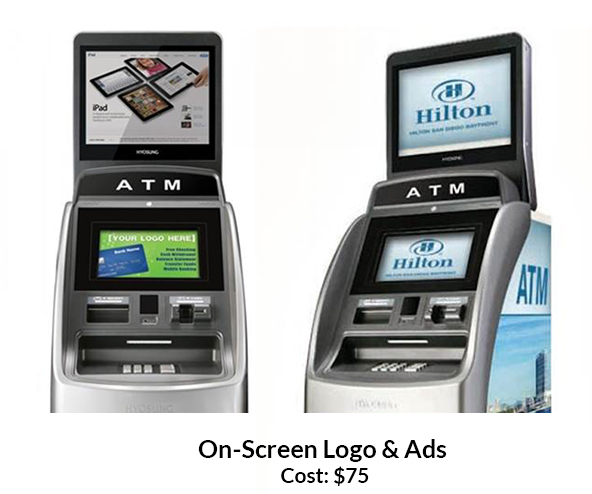 ATM screen graphics, available for most ATM models including older models no longer in production. ATM owners can have maximum transaction impact at an affordable price. Stand out in a visually competitive environment with our custom graphic, full color, precise contoured ATM and kiosk panels with Shark-Skin Technology. High strength, aggressive, permanent pressure sensitive adhesive, will stick to "hard to stick" surfaces. These quality wraps will exceed your expectations. 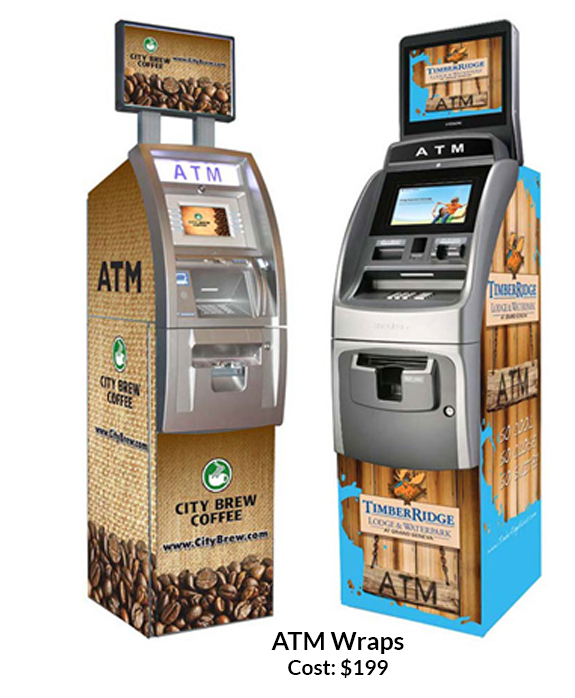 Turn your ATM into a powerful marketing tool with affordable, custom-designed ATM wraps. High-quality visual branding draws attention to the ATM helping owners build transaction volume, increase fee income, and advertise products and services to new customers. Studies show ATM branding can increase transaction volume by as much as 20-40%, depending on the location.